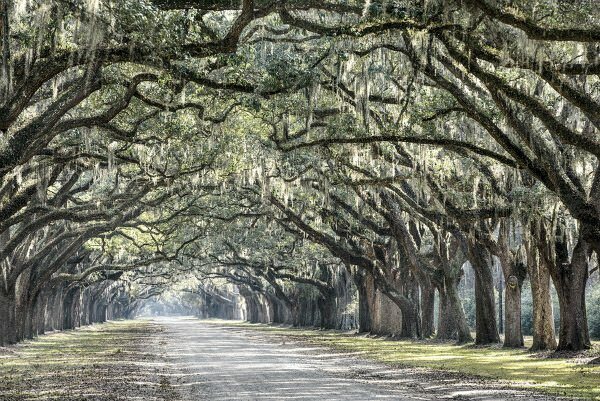 The Avenue of the Oaks welcomes all who visit the Sea Island Golf Club. The 150-year old oak trees, planted by Anna Matilda Page King, survive today as a testament to the glory of Sea Island Georgia. Anna planted the magnificent double row of live oak trees to serve as the entrance to Retreat Plantation. Retreat Plantation was a two-thousand-acre property founded and developed by William Page, Annaâ€™s father. Anna inherited Retreat, then a major player in the Coastal Georgia plantation system in 1827. Annaâ€™s success as a plantation owner came naturally. Her father taught her all aspects of plantation management including how to cultivate plants from seed. Anna Page married Thomas Butler King of Massachusetts. Thomas was a member of Congress and a prominent figure in Georgia and National Politics. However, he was frequently absent from Retreat. Anna stayed behind and single-handedly ran the place and cared for her family and slaves which she considered family as well. Anna was instrumental in making Retreat Plantation prosperous. She grew olives, oranges, flowers, and what would become the world-famous Sea Island cotton. Legend has it that Anna produced fragrant flowers in such abundance that those on the ships nearing the Golden Isles harbor could smell the fragrance before they saw the island shores. All who want to call Sea Island their home should know the strength of character of those that came before them. The determination and forethought of Anna Page King created an ultimate destination for people who want to be part of magnificent beauty. Many opportunity abound for those to enjoy the Golden Isles. Whether your goal is to experience the ultimate vacation or to make Sea Island your home, the first step to achieving your goal is to consult the Sea Island experts. Those experts are here to help in your search. Contact DeLoach Sotheby’s International Realty to find your Sea Island dream home.